I’ve played Dragon Quest XI for about twelve hours now – or XII hours, in Dragon Questese – which is only a fraction of the whole thing, but a fraction is enough to offer some first impressions. That said, a first impression of Dragon Quest XI is rather like meeting a new member of a family you’re already well acquainted with. It may be the first mainline game on PC, but there’s X of the things on other platforms and the founding fathers of the series have made it their mission to change as little as possible; a point of both admiration and criticism. Its open world is a gentle one, where moseying about is kind of mandatory. Quests don’t so much push you towards the next goal but kindly motion in its general direction with a smile and some adorable little observation. The difficulty curve is so gentle it’s more of a difficulty plane, and the lightest of roleplay elements, like crafting at the fun-size forge or tinkering in the character builder, make for a very pleasant time. You could even gobble up the characters, they are so adorable (and resemble the kinds of squishy toys you’d get in a Japanese vending machine). Games too often fuss about with realism, which pretty much boils down to mud physics, grime, and general unhappiness – and in open worlds, too. I’m looking at you Fallout. It’s rare to see scale used to bring something this broad, vibrant and inviting to life, and it’s a refreshing change. From Volcanic Steam Baths to Race Tracks, little humdrum towns and wide open fields, Erdrea is a place I’m already excited to revisit (and will be, every spare minute I have this week). I’ll be playing much more of this game over the next few days so expect a comprehensive video soon. Until then why don’t you feast your eyes on my recent playthrough for the RPS YouTube channel, below! 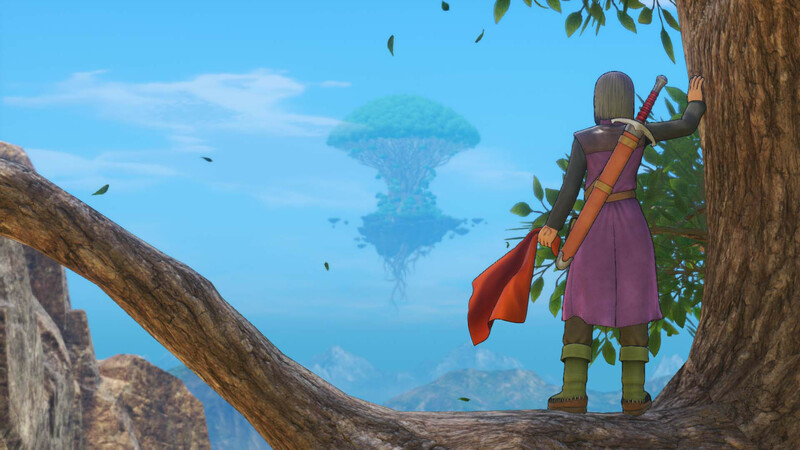 Tagged with feature, videos, Dragon Quest XI: Echoes of an Elusive Age. Former video person for the Rock Paper Shotgun YouTube channel! Likes video game music and the term 'mediated' a little too much.